Campaign includes online and television content, will continue over coming months. 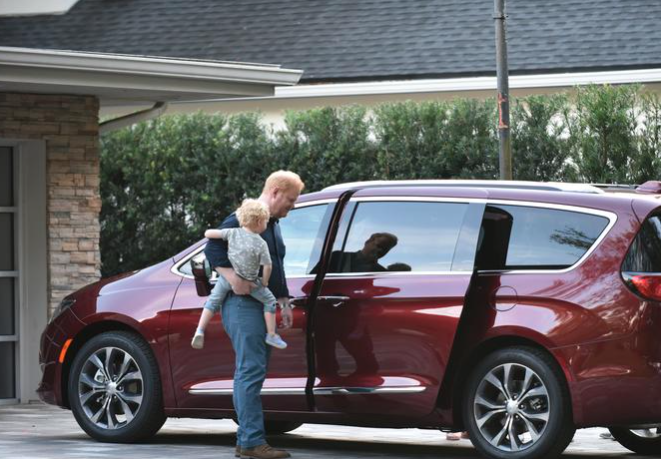 Chrysler, the automotive company which all but invented the minivan, debuted its new “Dad Brand” advertising campaign for the all-new 2017 Pacifica. The campaign stars comedian Jim Gaffigan, which is known for his unmatched observations regarding fatherhood and raising a family. The campaign highlights Pacifica’s industry-leading functionality, technology and safety features. "As the Chrysler brand is reinventing the minivan from the ground up, the objective of our campaign is to challenge the conventional category stereotypes and appeal to a new generation of minivan buyers, including younger families," said Olivier Francois, Chief Marketing Officer, FCA – Global. 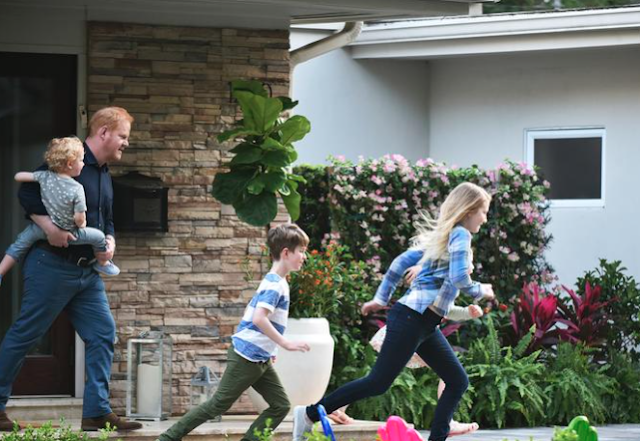 "To do that, authenticity is key, with real-life language and an endorser, Jim Gaffigan, who is a real father of five with a strong point-of-view on fatherhood and modern-day parenting. Here you see Jim and his family leveraging the customer benefits of our minivan to enhance his own "Dad Brand" in a relatable and engaging series of sketches that highlight the class-leading features of the all-new 2017 Chrysler Pacifica." 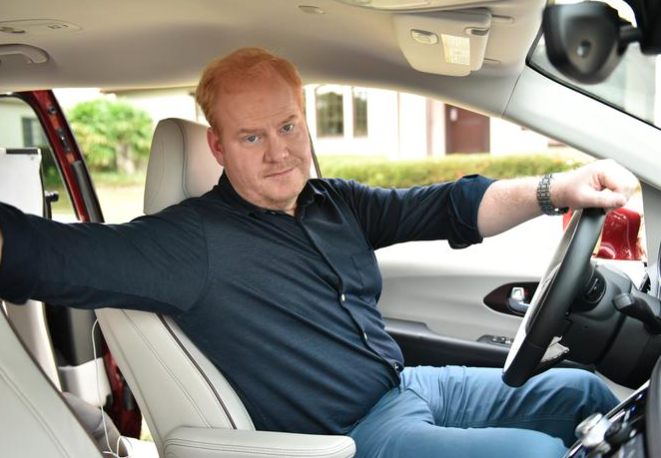 Gaffigan is a Grammy®-nominated comedian, New York Times best-selling author, top touring performer and multi-platinum-selling father of five. His first book “Dad Is Fat” was on the New York Times Best Sellers List for 17 weeks, topping out at number five. He’s also performed multiple comedy specials, and has appeared on a wide variety of television and film series. "The Chrysler brand invented the minivan 33 years ago, creating an entirely new automotive category that uniquely addressed the needs of families," said Tim Kuniskis, Head of Passenger Car Brands – Dodge, SRT, Chrysler and FIAT, FCA – North America. "With Millennial families in mind, our 'Dad Brand' campaign with comedian Jim Gaffigan establishes that the all-new 2017 Chrysler Pacifica's unprecedented level of functionality, versatility, technology and exterior design again transforms the segment – adding 37 minivan firsts for an unprecedented total of 115 innovations – while instantly adding to your 'dad cred' with not only your children, but also within your neighborhood." The all-new 2017 Pacifica is redefining the minivan industry, offering unmatched functionality, versatility, technology and styling. Its 3.6L gas engine gets an unsurpassed 28 highway mpg+, while the hybrid model gets an amazing 80 MPGe. Safety features include rear back up camera, forward collision warning plus, adaptive cruise control, lane departure warning and blind spot monitoring. Interior comes fully stocked with a stow ‘n vac powered by Rigid, stow ‘n go seating and unparalleled seating design.